Haus Strutzenberger holiday apartments are in a quiet residential location. All apartments have a fully equipped kitchen (with dishwasher), satellite TV , free WIFI , on-site car parking and there is covered parking for motorbikes and cycles. Apartments with a balcony have a beautiful mountain view. There is a garden with BBQ, storage for bicycles and skis, heated ski boot storage and self service laundry facilities. We are just 15 minutes walk from the town centre , Kongress and Theaterhaus and close to both the Herzreha and Rehamed Tisserand. 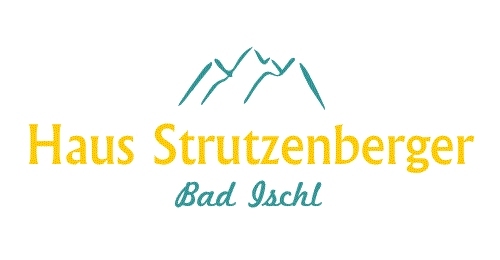 Haus Strutzenberger, is ideal for hiking, cycling and motorbiking trips. Bad Ischl is centrally located and a great point to make trips throughout the scenic Salzkammergut region. Lake Wolfgang and Lake Hallstatt are both 10 km away. It is easy to make trips to the UNESCO World Heritage village of Hallstatt and the city of Salzburg. In winter , the Katrinalm ski touring centre is about 5 minutes drive from Haus Strutzenberger. For alpine skiing and cross country skiing Dachstein West, Dachstein Krippenstein, Rettenbachalm, Feuerkogel and Postalm ski regions are about 30 minutes drive away. Haus Strutzenberger is owned and operated by an English family. * Guests 18 and over only.